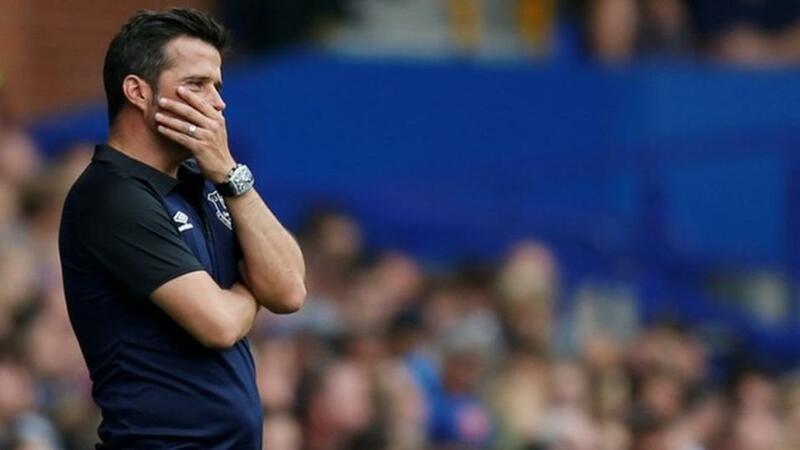 Will Marco Silva have the answers when Everton host Newcastle? Can Everton get back to winning ways when they host Newcastle? Opta has the answers. "Everton have won eight of their last nine Premier League games against Newcastle (L1), including each of the last five in a row without conceding a single goal." They are [2.5] to win to nil. Everton have won eight of their last nine Premier League games against Newcastle (L1), including each of the last five in a row without conceding a single goal. They are [2.5] to win to nil. Newcastle have won just one of their last 14 Premier League visits to Goodison Park to face Everton (D3 L10). Everton are [1.62] to win. Premier League meetings between Everton and Newcastle have seen more penalty goals than any other fixture in the competition (18). The odds of there being a penalty in the match are [4.5]. Everton have won their last four Premier League home games, netting nine goals and conceding just one in return. They are [2.5] to win half-time/full-time. Everton are unbeaten in their last seven midweek matches in the Premier League (W4 D3), since losing 0-3 at Sunderland in May 2016. The draw is [4.1]. Newcastle haven't won a midweek Premier League match since December 2013 (5-1 vs Stoke), drawing eight and losing nine played on a Tuesday, Wednesday or Thursday since. The draw half-time/Everton full-time double result is [4.4]. After beating Burnley 2-1 at Turf Moor in their last away league outing, Newcastle will be looking for back-to-back away wins in the Premier League for only the second time under Rafael Benitez, last doing so in January 2018. Newcastle are [7.0] to win. Newcastle manager Rafael Benitez has won 10 of this 16 Premier League games against Everton (D2 L4); only against West Ham (11) has he won more matches in the competition. The Magpies are [5.2] in the Draw No Bet market. Everton's Theo Walcott has had a hand in more Premier League goals against Newcastle than he has vs any other side (10 - 5 goals, 5 assists). Walcott is [3.4] to score. Everton's Gylfi Sigurdsson has had a hand in five goals in his last five Premier League home games (4 goals, 1 assist). Sigurdsson is [3.1] to find the net.